We greatly appreciate the confidence and trust referring physicians have long shown the surgeons and staff of University Orthopedics. Throughout the tri-state area the group has for many years been associated with advanced orthopedic care, given their teaching affiliation with the University of Tennessee College of Medicine, and their access to the enhanced technology and services found usually only at tertiary-level medical facilities. University Orthopedics’ physicians are available 8:00 AM through 4:30 PM Monday – Friday for consultation by telephone, and a surgeon is always “on call” every week-night after 4:30 PM and from Friday night through Monday morning for emergent consultations during the week-end. To accommodate referring physicians and their staff, a special telephone line has been reserved for your use. To access this service, call the group’s main telephone exchange at 423.267.4585 and select the “1” prompt when your call is initially answered by the office’s auto-attendant. You will then be transferred directly to an associate who is particularly trained to assist both referring physicians and their staff. To get in touch with a University Orthopedics surgeon after the office has closed, or on week-ends, dial the main office number listed above, and ask the “answering service attendant” to contact the group’s “on call” surgeon. You may also use our Contact Page for any email communications. 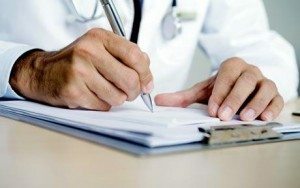 Often, referring physicians are only seeking copies of diagnostic reports, office consultation notes or other medical information needed to follow their patient after a visit to University Orthopedics. Again, you need make only one telephone call, select option “1” on the first prompt, and the assigned staff assistant will connect you to the appropriate department. For your assistance, the following University Orthopedics staff members are available to assist you if for whatever reason the office telephone links are “down”. Frequently, referring physicians request to speak directly to a particular University Orthopedics surgeon. If that surgeon is not on duty, or can not be located, the request will be transferred to one of the surgeons present in the group’s offices. Please know every effort will be made to transfer your call, or if necessary return your call, just as soon as possible. On a normal Monday – Friday, there are usually two surgeons on duty in the office clinics, so referring physicians should have a timely encounter or response. Again, thank you for choosing University Orthopedics.